On the 4th of August, 2017, we spontaneously decided to travel to royal estate De Horsten, in Wassenaar. After a couple of short hours exploring the grounds, the light was perfect for some photo's. We used the Huawei P10 smartphone we carried with us to capture some of the rough and textured nature. 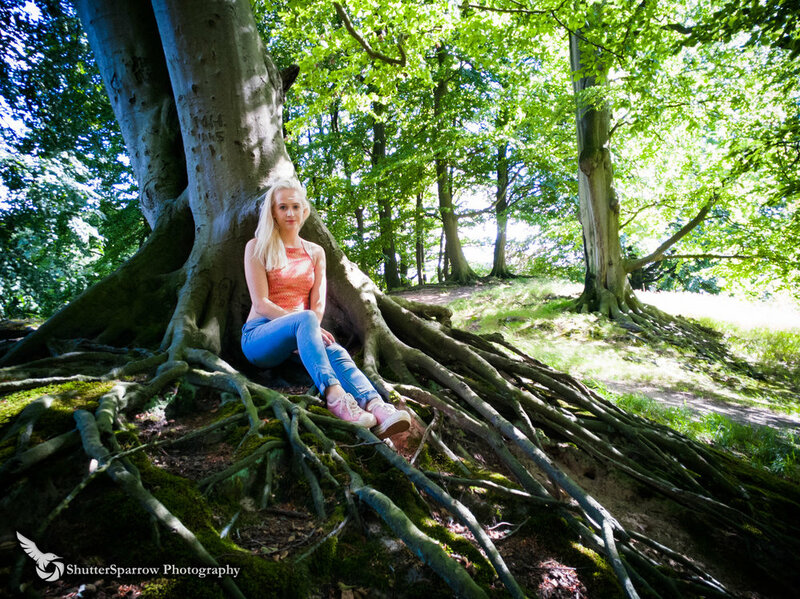 The ancient trees growing on the estate were absolutely beautiful to shoot in the glowing warm sunlight. The grounds are well-maintained, which meant that there were lots of open spaces in the forest where light came through the foliage of the trees. This gave us the opportunity to shoot some great pictures with an amazing contrast between lights and shadows. 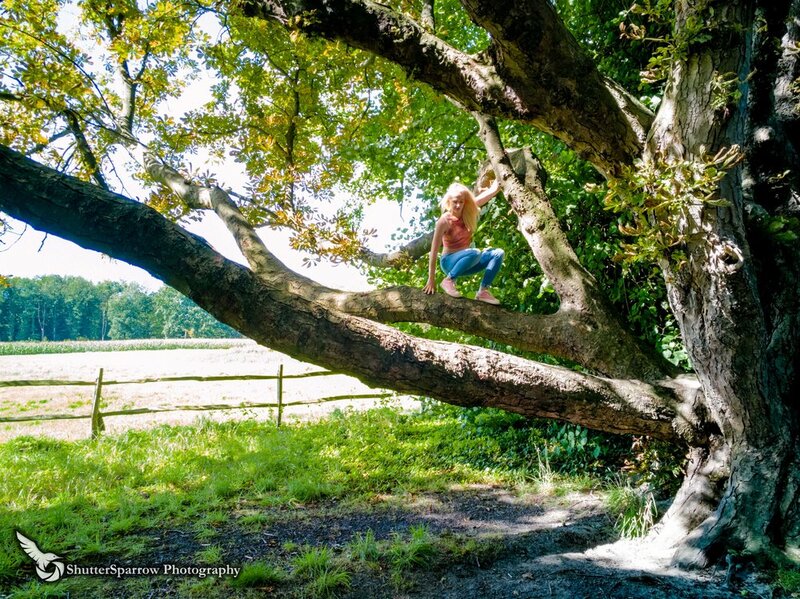 For the photo above Jeroen climbed a tree on the edge of the forest. A warm and soft green glow came from the meadow seen in the shot, which made for some excellent backlight. It was quite tricky to take an even-lit photo, since the foliage only allowed the light to pass onto some areas of the tree.